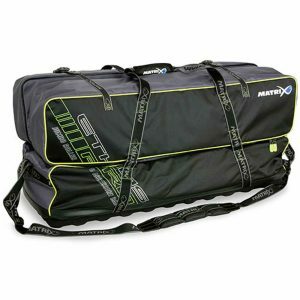 It has a rigid, moulded base measuring approximately 55cm by 25cm and a capacity of approximately 50 litres. 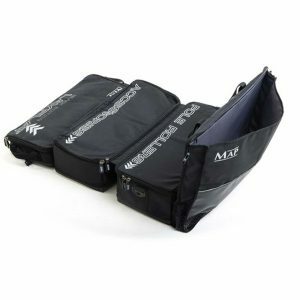 On the outside there is a single large pocket designed for keepnets, side trays and/or baitwaiters, plus there is still a very useful zip-up compartment underneath the lid for small items. 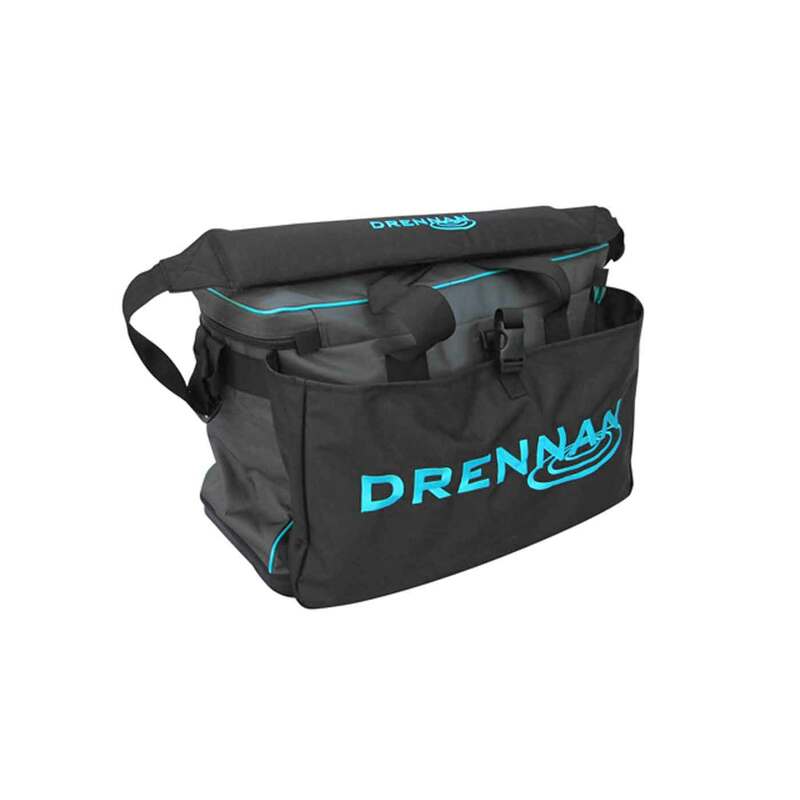 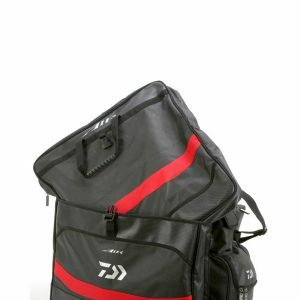 Like the rest of the family, it is made from tough, waterproof fabric with a padded shoulder strap and carry handles. 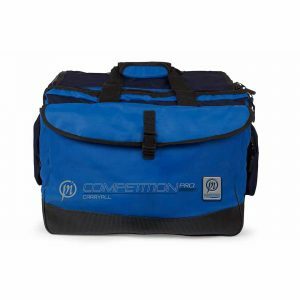 Medium, Large and XL Carryalls are also available.